The Nova Scotia Talent Trust (NSTT) is unique in Canada. It is the only funding organization dedicated to the support and recognition of emerging artists, at formative stages, who want to pursue a professional career in the arts. The NSTT invests today in the artists of the future. Founded in May 1944, the Nova Scotia Talent Trust was registered under the Companies Act as “Limited By Guarantee” and was led by a group including the Mayor of Halifax, the president of the Halifax Ladies Musical Club, the Lieutenant Governor of Nova Scotia, and Provincial government representatives. Scholarships are awarded twice a year. In addition, a number of special awards recognize exceptional talent and achievements. Since 1944, the NSTT has awarded over $1.9 million dollars in scholarships to gifted Nova Scotians. 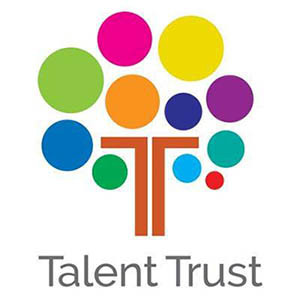 Today the Nova Scotia Talent Trust is a not-for-profit society with an independent Board of Directors. A selection committee of professional artists drawn from many disciplines volunteer their time, review applications and select scholarship recipients. The rigorous professional assessment process is a significant endorsement of a recipient’s potential and encourages emerging artists to develop lifelong careers in the arts. 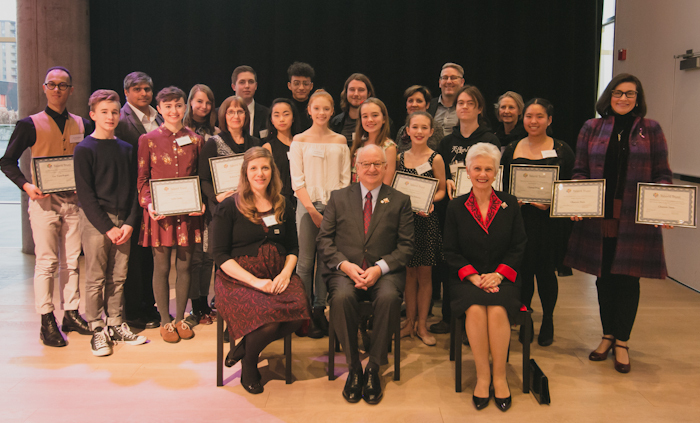 On December 12,2017 we celebrated the Award winners and Scholarship recipients at the Halifax Central Library. Not all of the winners were able to attend due to their study schedule.